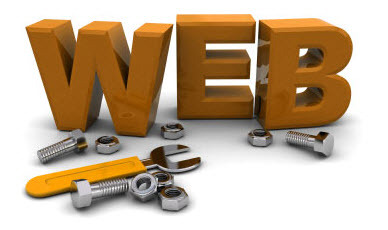 Tips to make the web work for you. For many smart businesses maintaining an online presence is another finger on their company marketing glove. Everybody knows using the internet as a marketing tool has great potential to build your business. People search online all day for everything. The question is how can you make the web really work for you? If you don’t have a website, get one. Even a simple four – five page website will serve you better than none at all, and offers your business a “stake in the ground” position from which you’ll be able to build your on-line presence over time. Like they say “you have to be in it to win it!” and without even a basic website you’re just not even in the game. If you have a website, promote it. Spread the word, market it, call attention to it and generate traffic that will eventually convert into your new customers. To that end be sure to promote your website’s URL (the “www” info at the top of every web page). Promote it by including that “www” info on your business cards, on your letter head, on your emails and in every way possible, even through networking conversations. Got your social media going? For most that means setting up a Facebook company page, could include Twitter and LinkedIn. If you have videos then you may also consider postings on YouTube. In today’s world social media is where websites were 10 years ago, so follow the example of the mega national marketers. Have a look at what they’re doing in social media, and while you may not have the resources of a Pizza Hut or Coke you can easily get yourself into the social media mix locally – then promote it as you would your website! These are very basic steps to take to begin making the web work for you. There are lots more tactics that can be utilized to grow your online business leads such as SEO, email marketing, pay-per-click advertising and group buying to name a few. Running your business takes a lot of your time and attention so it is understandable if you don’t have the inclination or experience to undertake these steps. But if you want to make the web work for you and cannot do it yourself there are alternatives. You may wish to talk with companies that specialize in these areas, companies such as ours. Why not give us a call and talk about your needs and see where we can help out. In New York call 516 238 5252. In New Jersey call 732 535 6527. Will a well designed website turn your business around?